Psalm 34 tells us that the Lord is close to the brokenhearted and saves those who are crushed in spirit (v. 18). You have drawn near to grieving families with your financial support. You have moved families to tears when the quilts were opened. You bring comfort to the broken hearted. 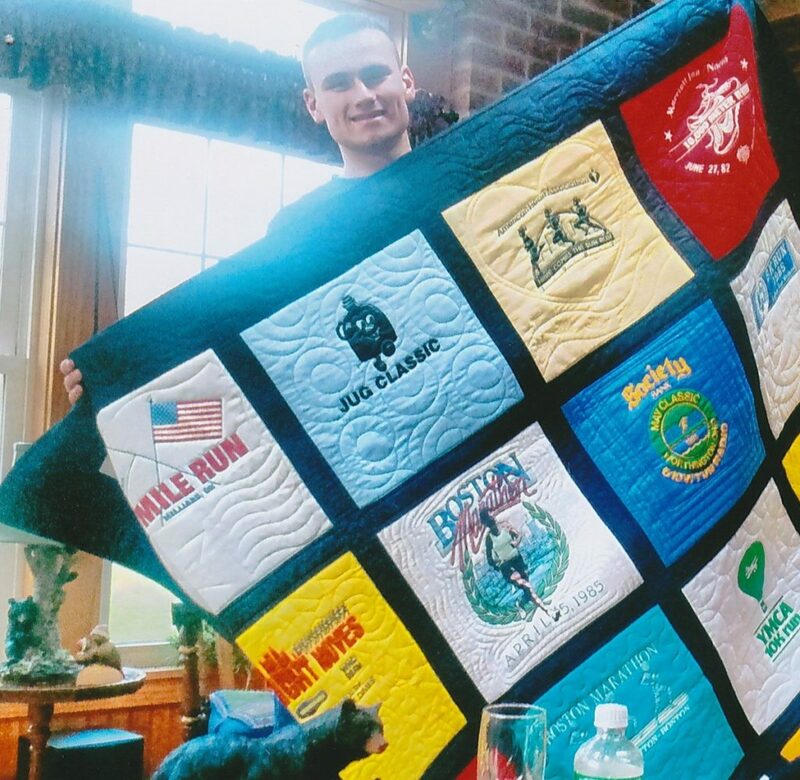 Because of you families bowed down by sorrow were blessed with quilts, pillows, wall-hangings—even table runners, made out of the clothing of someone they loved and lost to death in 2018. You made it possible for Living Threads volunteers to craft a total of 145 quilts, pillows and other items to bring comfort to these families. Wow! What a blessing you have been to these families. The hearts of moms, dads, brothers and sisters, children and grandchildren have all been touched because of you! We are so thankful for you and your commitment to bringing comfort and encouragement to the grieving families we serve. 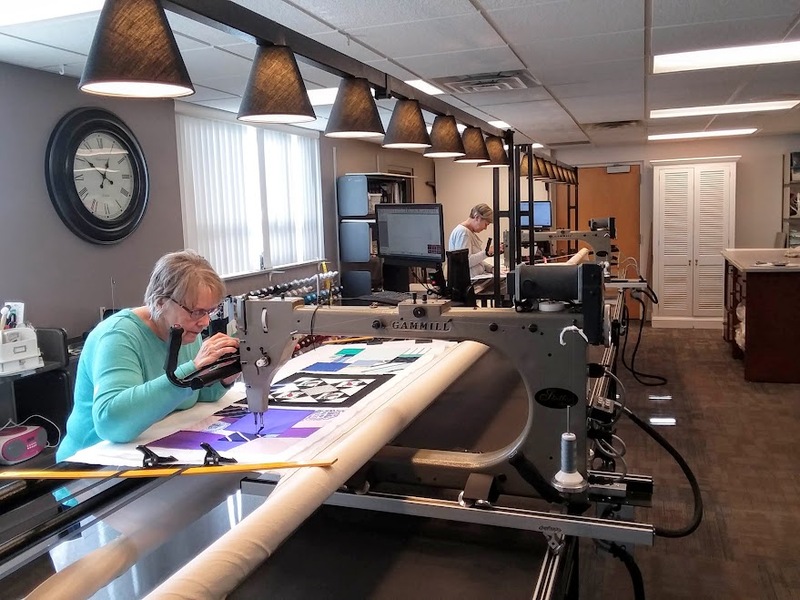 Did you know that your support is the foundation that allows Living Threads to operate and serve so many? Because of you families have a place that will create and personalize a memory quilt just for them. 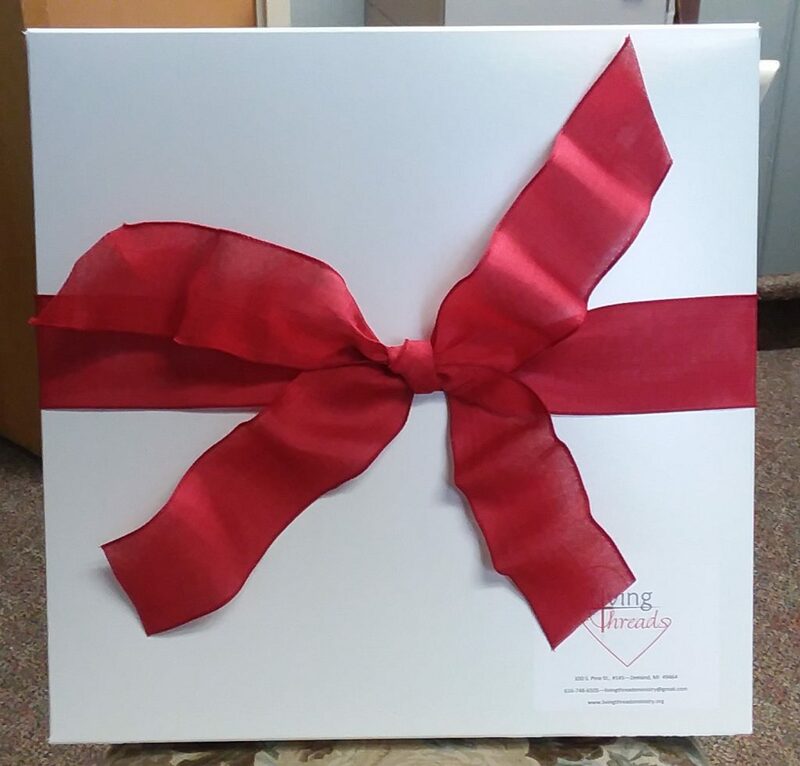 When complete, their memory quilt is presented to them in a beautifully packaged gift box tied with a satin ribbon. But the story doesn’t end when families receive their quilts! 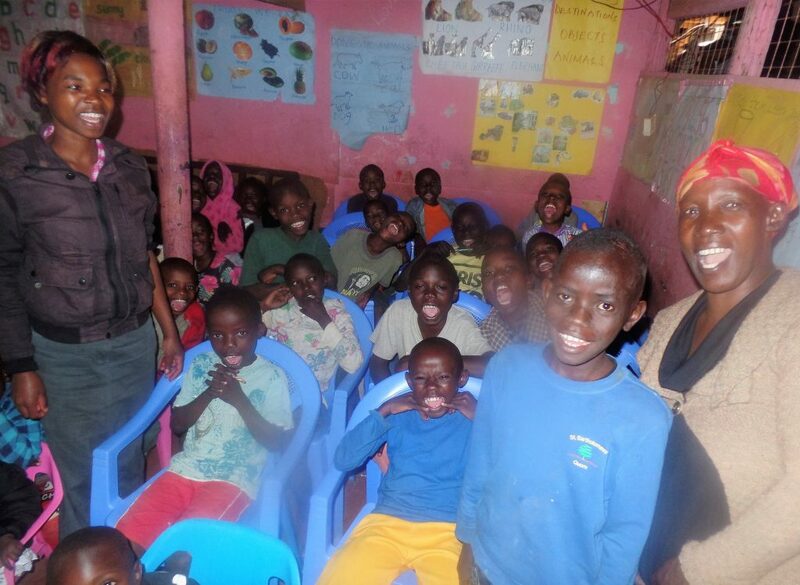 The donations made for the volunteer time spent creating their personalized memory quilt becomes a gift that nourishes bodies and souls of the children who live in the Kibera Slum in Nairobi, Kenya. Through this “ribbon” of community, (you as a supporter of our ministry through giving, volunteers through serving, and quilt recipient donations), we are tied together in God’s love. Each one of us in our own small ways serving the grieving and poor and needy through quilting. No more eating with their fingers! 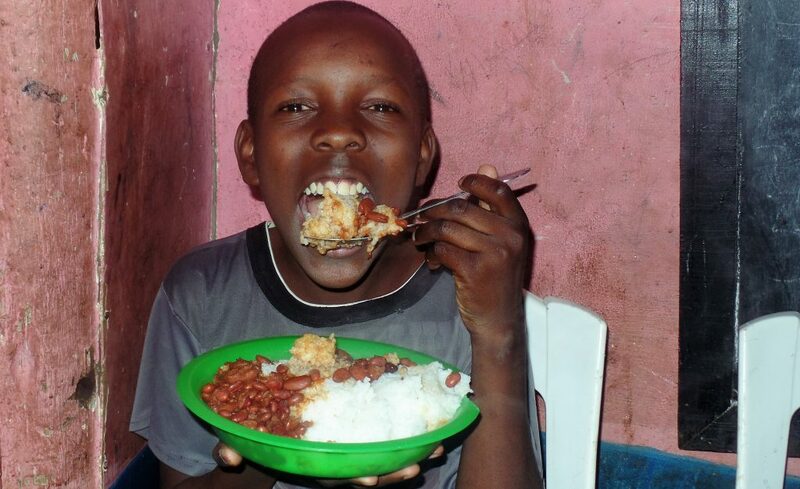 Plates, utensils and extra food rations delight the children who live in the Kibera Slum. 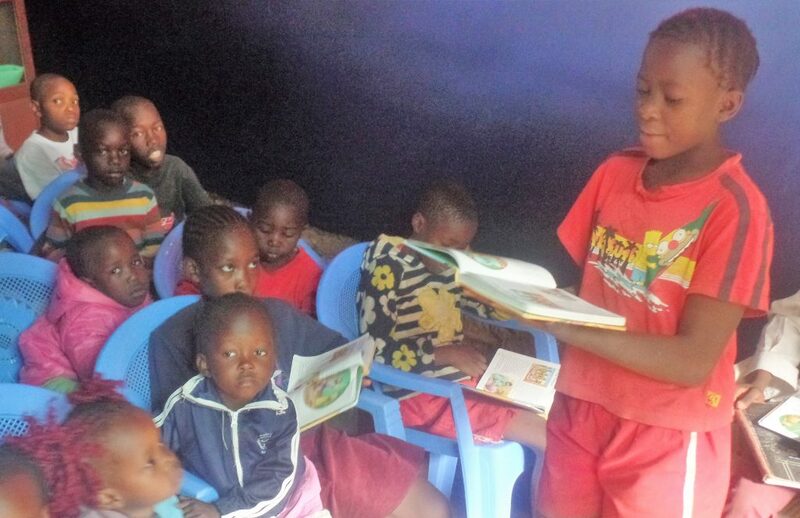 The brand new children’s Bibles inspire the children to love God’s Word. Bible Club students love their new chairs purchased with memory quilt donations. 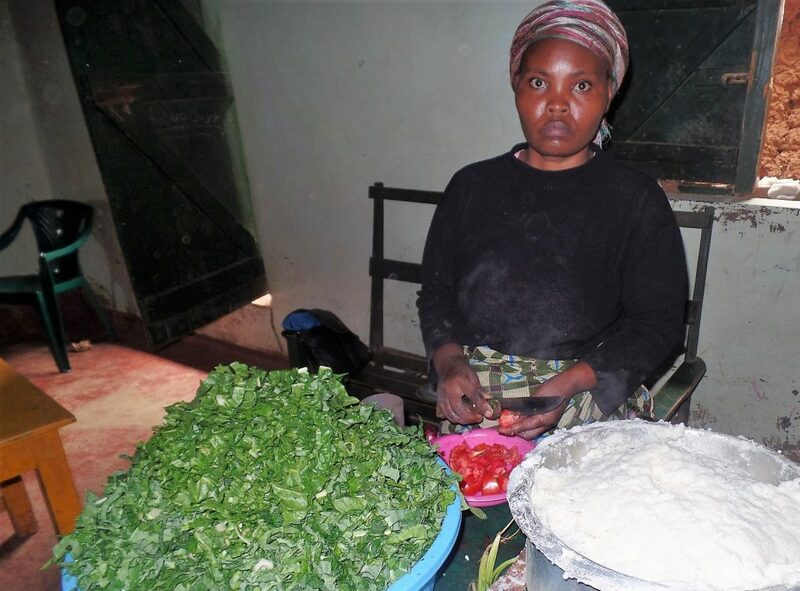 Ruth has been a volunteer cook at the Galilaya Bible Club for many years. 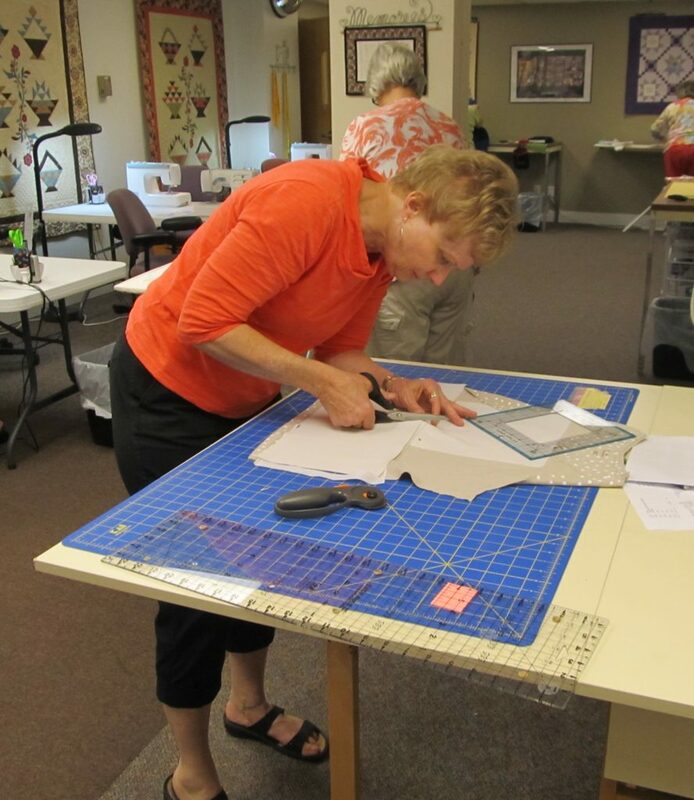 Because of memory quilt donations Ruth now receives a small stipend for her services. What a wonderful blessing! 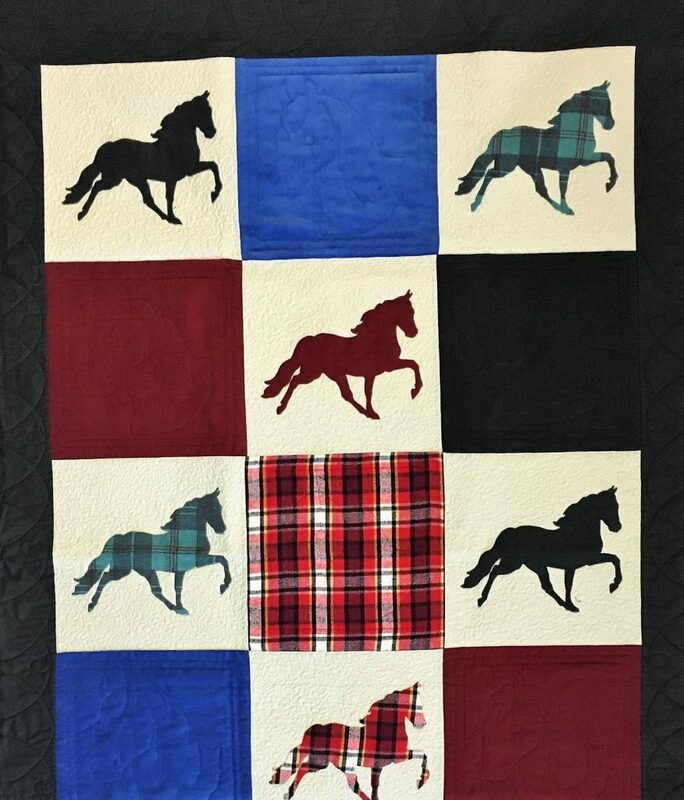 Because of your support we can create personalized memory quilts for people with hurting hearts. 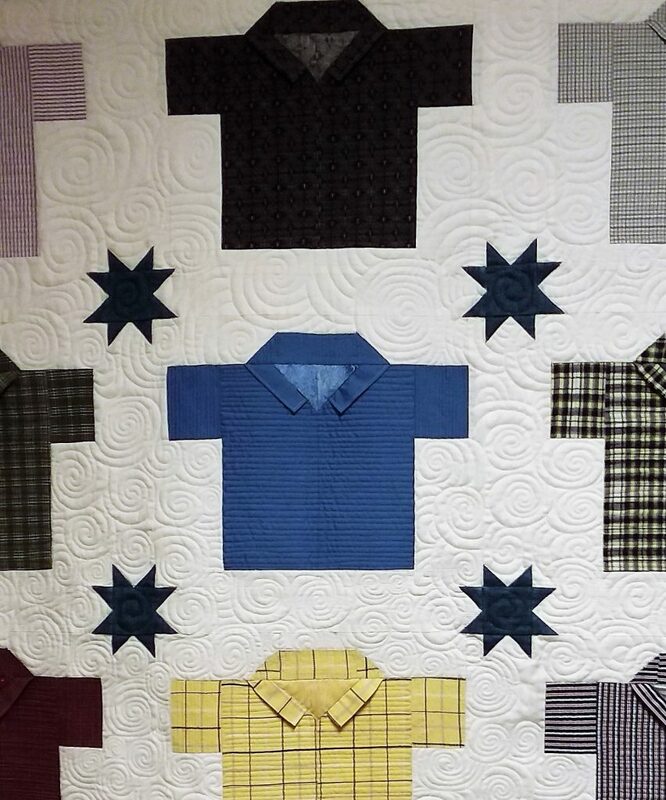 Having the comfort of a quilt made with their loved one’s clothing to honor their life story is priceless! Because of your generosity our volunteers have a place where they can “extend a helping hand to the poor and open her arms to the needy” (Prov. 31:19-20). They are very much angels on earth as they work and pray for the quilt recipients and their families. It’s so wonderful to see God’s people working together and supporting each other—thank you for making it possible! How Are You Preparing for the Joy of Easter? Just $25 from 300 families would raise $7,500 to serve the grieving and needy through quilting. Click here to donate now!